Army pays tribute to Colonel Santosh Mahadik who was killed in an encounter with terrorists in north Kashmir. NEW DELHI: Did Colonel Santosh Mahadik, the 38-year-old Indian Army Officer who died in an encounter yesterday need to personally place himself in the line of fire in taking on terrorists in Kashmir? Yes. Without doubt. That's the message of the Army's Northern Army Commander, Lieutenant General DS Hooda. In an interview to NDTV, Lt Gen Hooda was absolutely clear: "The ethos of the Indian Army, the culture of the Indian Army - these are things that are sometimes not very well understood. We have a concept of unlimited liability. A man goes into battle, a man faces terrorists and he faces them sometimes with certainty that he could lose his life." Mahadik would not have regretted going down the way he did. Speaking to NDTV, Colonel SS Shekhawat, an Officer of the Army's elite 21 Special Forces who once commanded Mahadik says, "It is a great loss. But he has gone in style. With a bullet in the chest and we draw inspiration from him. This is the way to go for a soldier. And this is the way to lead for a soldier. From the front." Colonel Santosh Mahadik was killed in a counter infiltration operation in the Manigah Forest of Kupwara. He was in the forefront of a search party which was pursuing terrorists in extremely inhospitable terrain when terrorists targeted him with heavy machine gunfire. Mahadik was distinctly unlucky. The bullet that killed him struck his neck, an area that was not protected by his bullet-proof jacket. The operations to neutralise the terrorists are still continuing. For those who were his course-mates, Mahadik was always there for them. According to Colonel Sumeet Dua, an old friend right from when the two were in the Indian Military Academy together, "He was the most prepared officer to come to the Academy. He was physically the fittest, the strongest with the most endurance. He had a penchant for helping not just his peers but also his subordinates." Colonel Mahadik is the second Commanding Officer of the Indian Army to have been killed leading soldiers from the front. In January, Colonel Munindra Rai of the Gorkha Rifles died in Tral in Kashmir in a similar operation. Colonel Santosh Mahadik, who was given a military farewell in Srinagar today is survived by his wife, an 11-year-old daughter and a five-year-old son. The recommendations of the 7th Pay Commission are scheduled to take effect from January 1, 2016. New Delhi: In a bonanza for central government employees, the 7th Pay Commission is likely to recommend on Thursday a 22-23 per cent jump in their salary and allowances, according to sources. The pay panel is expected to submit its report to the finance minister today. The Pay Commission headed by Justice A K Mathur has suggested a 15 per cent increase over the basic salary plus dearness allowance (DA) for the central government staff, they said, adding that an increase in allowances like house rent allowance (HRA) has also been recommended. The total increase will be 22-23 per cent of the gross salary (basic plus DA plus allowances), the sources said. Besides Chairman, other members of the commission are Vivek Rae, a retired IAS officer of 1978 batch, and Rathin Roy, an economist. Meena Agarwal is secretary of the commission. It should come as no surprise that radical Islamists associated with the Islamic State have engaged in terrorist attacks in Paris. The Islamic State, or ISIS, has always called on Muslims to engage in violent, lone wolf, attacks in the West, if they are unable to “emigrate” to its territory in Syria and Iraq. The priority in ISIS’s ideology is for Muslims to travel to build the caliphate, where they can lead a virtuous life in ISIS-land. Bernard HaykelIndeed, this is framed as a religious obligation along with the formal recognition of, and swearing allegiance to, Ibrahim bin Awwad al-Badri (aka Abu Bakr al-Baghdadi) as the supreme leader (caliph) of the imperial and global Islamic State or caliphate. AP"There has been an outpouring of sympathy across the world, reflected in the ‘We are all Parisiens’ vigils." Photo shows people paying their respect to the victims at one the site of the attacks in Paris. On Friday, November 13, France faced its 26/11 moment. During three hours of indiscriminate killings that have already claimed 129 lives, the city of lights was shrouded in the darkness of terror. Islamic State (IS) has claimed responsibility, threatening more such attacks. President Francois Hollande responded by calling it ‘an act of war’ and has vowed to respond ‘without mercy’. A state of emergency has been declared and movement across French borders curtailed. The state of Jammu and Kashmir has recently culminated its traditional “Durbar Move” from Srinagar to Jammu. This is a unique feature of the state that has two capitals – the summer capital in Srinagar and the winter capital in Jammu. The move of the seat of the government normally also heralds a shift in the policy of terror mongers in the state and their masters across the border. The pattern of infiltration changes, the modalities governing terrorist-initiated strikes change and the methods adopted to cause disruption and divisiveness also change. The summer months that have gone by did not bode well for the Pakistan-based terror masters. Concerted infiltration bids in peak season were thwarted by the Indian Army and the infiltration success rate was in decimals, if at all. At the same time security forces achieved major success in counter terrorist operations across the state. More than seventy terrorists have been reportedly killed this year, most of them during the summer. For years, India-watchers have by equal measure championed the nation’s future role as the next regional if not global power and bemoaned its failure to live up to its strategic potential. At the heart of this optimism has been India’s fundamental capacities and characteristics—the size of its population, its democratic system of government, its geographic location in the heart of a dynamic Asia, and its deep and talented human capital pool. And yet, the pessimism has derived from the seeming inability of the federal government to make the whole equal more than the sum of its parts. While there are many reasons for this dichotomy, one of the most important is the outsized role played by India’s states in policymaking. To predict India’s future course, one must have a better understanding of its composite states. Download PDF file of "Interested in India’s Geopolitical future? Look to its States"
Make in India – for Indian Prime Minister Narendra Modi this has become a maxim of state policy. Ever since he graduated to the prime minister’s office in 2014, Modi’s message to the world has been unchanged: Come, Make in India. From day one the government’s articulated policy has been clear: The way forward involves increasing manufacturing growth and raising it to global competitiveness standards.Make in India would not only revitalize India’s ailing manufacturing sector, it would also gainfully employ millions of young Indians that enter the workforce each year. 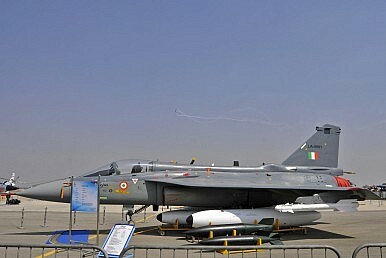 Underneath the hype and the glib marketing campaign, Make in India offers enormous potential for India’s stuttering defense industry. The policy takes its cue from the high levels of imports that currently make up India’s military arsenal. A quick study of the Make in India website reveals that more than 60 percent of India’s defense requirements are met through imports. The precincts of limited resources within which the armed forces budget must operate makes the logic of Make in India even more compelling. Imagine you’re the U.S. ambassador to Pakistan, and you’ve been tasked to draft a cable to prepare American officials in Washington for the visit of General Raheel Sharif, the Pakistani army chief who has arrived in town for a five-day trip. So what would you say? According to The China Daily, many border areas in China have deployed “an integrated frontier monitoring system consisting of advanced radars and unmanned aircraft”. The institute is a branch of China North Industries Group Corp, China’s main manufacturer of land weapons. Mao asserted that the new system integrates electro-optical devices, radars, communications equipment, command-and-control instruments and tools for image analysis. The Institute in Chengdu has closely worked with border patrols, which are said to be able now to perform round-the-clock, all-weather surveillance of ‘illegal cross-border movements’. Despite being widely recognized as the most powerful emerging country in the world, China’s international position rests upon an untested foundation. 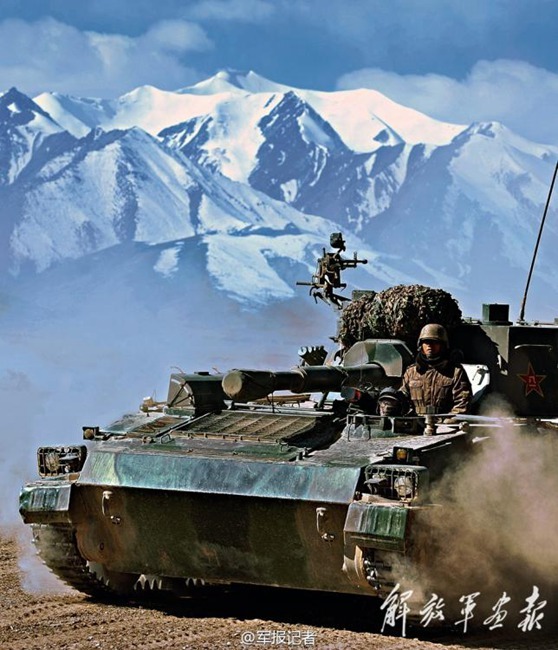 Unlike other leading countries, whose national strength emanates from the confluence of military, economic, social, and geopolitical vectors, Chinese power is inexorably tied to the expansion of the Chinese economy. Breakneck economic growth has greatly elevated China’s regional standing, but Beijing’s goal of becoming a regional leader—which may eventually extend to displacing American preeminence in the Asia-Pacific—has yet to be achieved. Download PDF file of "Geopolitical Consequences of China’s Slowdown"
In China, a fear of social instability has long constrained government efforts toward economic and structural reform. After three decades of nearly unrestrained and uncoordinated growth, China's leaders are now facing a moment in which change is no longer simply desirable; it is a necessity. The global economic system is rebalancing, economic power is becoming more diffuse, and China's export- and investment-driven economy has, as its regional predecessors, largely run its course. Beijing talks of a shift to an internal consumption-based economy - one less susceptible to the vagaries of international trade and overall more self-sustaining. But that is not a simple change, particularly in a country where the government is dictating that the transition take place over a very short span of time. Decades of redundancies and inefficiencies in the economy, significant overcapacity in some sectors and undercapacity in others, and a pervasive culture of local self-interest and corruption further complicate the desired transition. Of course, terrorists didn’t need the CIA to tell them that the U.S. government monitors their communications. Telegram is only one in a string of messaging systems ISIS has employed to protect its communications, U.S. officials told The Daily Beast. And some apps that have marketed their privacy-enhancing features, such as Snapchat andSecret have either disclosed their users’ supposedly-private information, or have been shown to be vulnerable to hacking. In other words, they’re not-so-secret after all. The terror group is pushing a new way to communicate quietly after the Paris attacks. It’s called Telegram. In the wake of the Paris terrorist attacks, ISIS is encouraging its followers to use a popular chat application that can make text messages effectively invisible to government spies. A day after claiming responsibility for the attack, ISIS posted a message on one of its Web sites-which had been moved to the so-called Dark Web-encouraging its followers to download the app, called Telegram, which also allows users to set their message to self-destruct after a certain period of time. The terrorist attacks in Paris, beyond their obvious horror, recalled to me the words of the late Bernard Fall, a French-American historian and war correspondent in Vietnam. In 1965, Fall wrote: “When a country is being subverted it is not being outfought; it is being out-administered. Subversion is literally administration with a minus sign in front.” ISIS has subverted western Iraq and eastern Syria because it is out-administering the Baghdad and Damascus regimes there. That is, ISIS has erected a competent bureaucratic authority covering everything from schools to waste removal which, combined as it is with repression, is secure and stable. And with that territorial security, ISIS has apparently created a central dispatch point for planning terrorist attacks abroad. Eventually, the end of ISIS can only come about when some other force out-administers it. Let's start with what I'm not going to do. I'm not going to accuse you of staying silent in the face of the horrific atrocities being committed around the world by your co-religionists. Most of you have loudly and unequivocally condemned groups like the Islamic State (ISIS), and gone out of your way to dissociate yourselves from them. You have helped successfully isolate ISIS and significantly damage its credibility. I'm also not going to accuse you of being sympathetic to fundamentalists' causes like violent jihad or conversion by force. I know you condemn their primitive tactics like the rest of us, maybe even more so, considering the majority of victims of Islamic terrorists are moderate Muslims like yourselves. On this, I am with you. But I do want to talk to you about your increasingly waning credibility -- a concern many of you have articulated as well. Isis fighters parading in Raqqa. ‘Everything convinces them that an apocalyptic process will lead to a confrontation between an army of Muslims from all over the world and others, the crusaders. As a proud Frenchman I am as distressed as anyone about the events in Paris. But I am not shocked or incredulous. I know Islamic State. I spent 10 months as an Isis hostage, and I know for sure that our pain, our grief, our hopes, our lives do not touch them. Theirs is a world apart. Most people only know them from their propaganda material, but I have seen behind that. In my time as their captive, I met perhaps a dozen of them, includingMohammed Emwazi: Jihadi John was one of my jailers. He nicknamed me “Baldy”. When in Paris after the Charlie Hebdo attacks last January, I wrote a columnsuggesting that we all had to demonstrate a new toughness. At that time, I thought the scale of ISIS' attacks on Western targets was contained by its avowed doctrine of territorial legitimacy. I assumed any attacks in the West would be carried out by lone wolves or with one or two partners. Ever since it first declared a caliphate, ISIS' leadership consistently expressed the intent of fighting a more or less conventional war in a well-defined piece of territory spreading across Iraq and Syria. To paraphrase Mark Twain, rumors of NATO’s death have been greatly exaggerated. Last week’s deadly terrorist attacks in Paris underscore the changing security threats confronting the alliance. Just two years ago, the biggest issues facing the six-decades-old organization were defending NATO’s European members from Iran’s nascent ballistic missile program and reestablishing domestic support in the aftermath of its deeply divisive operation in Afghanistan. Yet today, NATO is facing a two-front war that is very much close to home. To the south, NATO faces new threats driven by Islamist extremism across the breadth of the Middle East and North Africa. The Paris attacks painfully demonstrate the increasing danger of overseas extremism brought home. Further, the hundreds of thousands ofrefugees fleeing from these and other conflicts and crossing Europe’s borders affect nearly every NATO member. These new threats from the south are joined by a revitalized older one from the east: Vladimir Putin has re-asserted Russia’s long-standing threat to the alliance and his European neighbors after a period of hopeful but uneasy détente. NATO must now confront two very different — and difficult — types of threats at the same time. The Russian intervention in Syria involves some 4,000 troops and about fifty warplanes and helicopters. The small size of this force exposes a sad fact of post-Cold War Russia; the military no longer has much in the way of combat capability and few post-Cold War weapons. Thus Russia has few smart bombs and is mostly relying on unguided bombs built in the 1980s, just before the Cold War ended in 1991. Through the 1990s some 80 percent of the huge Cold War Russian (Soviet) armed forces melted away. The Russian air force and navy are now less than ten percent of their Cold War strength and the army has fewer combat brigades than it did armies during the Cold War. But there is one important thing that Russia does have and that the Syrian armed forces desperately needs; support for maintaining and upgrading Syria’s largely Russian weapons and equipment. Russian maintenance and technical personnel are pouring into Syria, largely unnoticed, along with spare parts, upgrade kits and special maintenance equipment. Thousands of Syrian army weapons and vehicles that had become inoperable, or only partially functional are now being returned to usable condition. Russia is also sending in a lot of the new UAVs it has been building, apparently pulling a lot of them out of the Ukraine fighting, along with a lot of their world-class electronic warfare equipment. With new and repaired radios, more medical supplies and equipment as well as military field rations in abundance Syrian forces get daily reminders that things are looking up even if they are not in combat. This makes the Syrian forces more effective when fighting and is a big boost for Syrian morale in general. The Paris attacks are just what counterterrorism analysts have feared since Mumbai. Here are three takeaways. In November 2008, Lashkar-e-Taiba, an Islamist militant group, carried out a series of coordinated attacks over the course of four days across Mumbai, killing 164 people and wounding more than 300. Since then, counterterrorism officials throughout Europe have feared that sooner or later commandos using paramilitary tactics would do something similar in some European capital. As we know, that nightmare has now come true. The attacks, in January, on the offices of the French satirical newspaper Charlie Hebdo and, two days later, the attack on Paris’s Hypercacher market were the first taste. We’ve now seen the paramilitary tactic in full. The necessary caveat: We don’t know much yet. There’s a massive investigation underway, and the attacks’ dynamics are not fully clear. An annual collection of wide-ranging essays by CSIS experts, 2016 Global Forecast discusses the issues that will matter most to America and the world’s security and prosperity in the year ahead. There is a broad consensus that the United States and the West are losing the messaging war against the Islamic State, al-Qaeda, and like-minded terrorists. Indeed, there has been much focus on terrorists’ use of social media to spread their message and attract thousands of followers from the heart of the Middle East to America’s heartland. The challenge from this ideology and global movement, however, is often reduced to a problem of messaging or public diplomacy. The reality is that we are losing more than just a battle in the media and on the Internet. Download PDF file of "Winning the War of Ideas"
Food insecurity is both a consequence and a cause of conflict, making it inexorably linked with political stability at regional, national, and international levels. Lack of access to affordable food has proven to trigger revolutions and spark unrest across the world. The first signs of the Arab Spring were riots in Algeria and Tunisia in 2011 over dramatic increases in the prices of dietary staples such as sugar, oil, and flour. The food-price crisis of 2007–2008 caused dozens of protests across the globe, serving as a wakeup call to the international community and the United States that investments in sustainable agricultural development are critical to political stability and national security. Download PDF file of "Food Insecurity, Conflict, and Stability"
International development assistance has been a critical tool for expanding political freedom, economic progress, and global security since the Marshall Plan following World War II. The security challenges facing the United States are broad and varied, and an effective administration will use the full array of tools at its disposal. In some cases, a military response to a security challenge is not the best option available. Ideally, we defuse threats before they manifest by expanding and strengthening the rules-based order that the United States and its allies constructed over the last 70 years. One of the most important questions facing the next American president will be: How do we apply development assistance and other forms of soft power to increase our security? Download PDF file of "Soft Power and Security"
Countries and companies of all sizes continue to adjust to the new economic and market realities following the oil price collapse of 2014. And while the growth in U.S. unconventional production appears to be slowly abating, the upsurge in Organization of the Petroleum Exporting Countries (OPEC) output, robust global stock levels, and ongoing uncertainty around the strength of demand suggest that the oversupply and surpluses are likely to continue well into next year, exerting continued downward pressure on prices. Download PDF file of "Implications of Sustained Low Oil Prices"
Cyber operators need to be able to explain what they do to their commanders, say top Army leaders. "They need to be able to describe to the commanders what they offer," said MG Charles Flynn, commander of the 25th Infantry Division at Schofield Barracks, Hawaii. "I cannot express to you adequately [enough], if you don't send your best people out there to talk to division, corps and theater commanders, it will set back your efforts more than you can ever imagine." Fogarty, speaking at an Association of the United States Army conference on Nov. 10, warned that cyber personnel "must also be extremely knowledgeable in land operations as well, so that they can articulate to commanders — in language the commanders can understand — what they bring to the table," according to an Army news release. MG Stephen Fogarty, commander of the Cyber Center of Excellence and Fort Gordon, Georgia, said that cyberwarfare is ultimately the responsibility of the commander. "From the defensive to the offensive, he is the one responsible for integrating all these capabilities, like he is for fires, combat aviation or logistics." It's safe to say that behind the scenes, as the French government mounts a response to the coordinated attacks across Paris on Nov. 13, U.S. intelligence agencies are assisting – including with geospatial intelligence capabilities and partnerships. Less than two weeks before the attacks, National Geospatial Intelligence Agency Director Robert Cardillo hosted his French counterpart and discussed relations between the two sides. While the specific content of those discussions is classified, Cardillo said that in the wake of the attacks he is "elevating…options once again so that we can make the best risk calculus about how we might go forward." 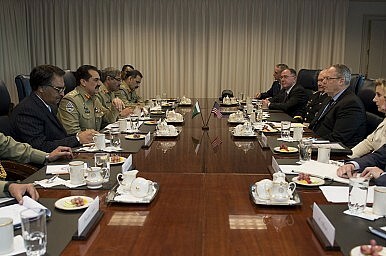 The attacks have sharpened the focus on existing initiatives between the two countries' intelligence arms in a bid to take on an enemy that closely studies Western capabilities and concepts of operations, and evades detection behind a mask of social media and open source-intelligence "noise," Cardillo told reporters in a briefing at NGA on Nov. 16. "You can imagine what those conversations [with French counterparts] before Friday night involved – here's where we think the relationship is healthy, here's where we're getting mutual benefit, and here's some things we can try more," he said. "Be very confident that everything we can do for our French counterparts, we are doing. That was happening on Friday morning, and that was amplified on Friday evening and continued throughout the weekend, to include this morning." 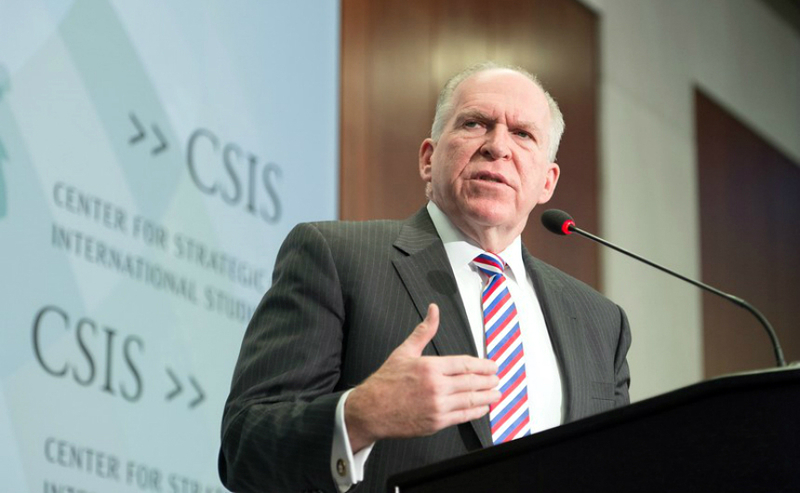 CIA Director John Brennan discusses ISIS's use of information technologies. The terrorist attacks in Paris likely would have occurred even if intelligence and law enforcement agencies could have broken encryption the Islamic State attackers used in their communications to plan the assault that killed at least 129 people. "Encryption matters most if you already know who the bad guys are," Jason Healey, senior research scholar on cyber conflict at Columbia University's Saltzman Institute of War and Peace Studies, says in an interview with Information Security Media Group. "We didn't know who these guys were." "Disrupting the Cyber Status Quo"
Media coverage of cyber attacks has never been higher than it is today. Government officials and business executives around the world are more aware of cyber threats than ever before and taking measures to improve security. As a result, cybersecurity is one of the fastest-growing segments of the global technology industry with approximately $1.9 billion in venture capital funding in 2014 and hundreds of new cybersecurity startups. Download PDF file of "Disrupting the Cyber Status Quo"
It’s not surprising that in the wake of the Paris terrorist attacks last Friday, US government officials would renew their assault on encryption and revive their efforts to force companies to install backdoors in secure products and encryption software. Just last month, the government seemed to concede that forced decryption wasn’t the way to go for now, primarily because the public wasn’t convinced yet that encryption is a problem. But US officials had also noted that something could happen to suddenly sway the public in their favor. Public key infrastructure (PKI) supports the distribution and identification of public encryption keys, enabling users and systems to both securely exchange data over networks and verify the identity of the other party. As tactical network cybersecurity becomes increasingly essential, PKI is gaining widespread acceptance across the Department of Defense as the best approach for keeping a tight lid on all forms of communication. PKI addresses multiple security concerns for tactical networks, including access control and technical nonrepudiation. CIA Director John Brennan said Monday he suspects the Islamic State is currently working on more terrorist plots against the West following Friday’s attack in Paris that killed at least 129 people and injured hundreds more. He also criticized new privacy protections enacted after Edward Snowden’s disclosures about U.S. government surveillance practices. Brennan’s remarks come on the heels of a new Islamic State video released Monday proclaiming all countries playing a role in air strikes against the group in Iraq and Syria would be a target. The video specifically pinpointed Washington as in its crosshairs. “We swear that we will strike America at its center in Washington,” says a man in the video, which surfaced on a site the Islamic State uses to post its messages. The authenticity of the video could not be immediately verified. Various news outlets reported Monday that the Paris terrorists used PlayStation consoles to communicate prior to the attack. (This turned out to be inaccurate.) But if you remember, I worried about something like that in my Future of War essay entry. The following is a guest post by Nathan Field, an entrepreneur and commentator on Middle Eastern politics. While Western governments weigh which military actions to take against ISIS, Field looks at the long-term economic reforms that could introduce greater employment, development and therefore stability to Arab countries, and weaken the appeal of extremist ideologies. The ultimate outcome of the military struggle against the Islamic State in Iraq and Syria is certain. ISIS will land some blows but has too many enemies. Eventually, it will lose a war of attrition. The territory it controls in those countries will be reclaimed. The bigger, long-term challenge is the spread of Islamic State’s ideology in the broader Middle East, as opposed to the presence of the group in Syria and Iraq. This ideology of extreme utopian populism is caused at a most fundamental level by the socioeconomic stratification of Middle Eastern societies, a problem that is aggravated by the weakness of Arab economies in the global marketplace.